Sitla Hotel is found centrally in Øvre (upper) Årdal. In pleasant surroundings, and with prices that are just as pleasant, we offer different options for accommodation. Sitla Hotel & Apartments is a self-catering hotel, and you get access to a kitchen on request. 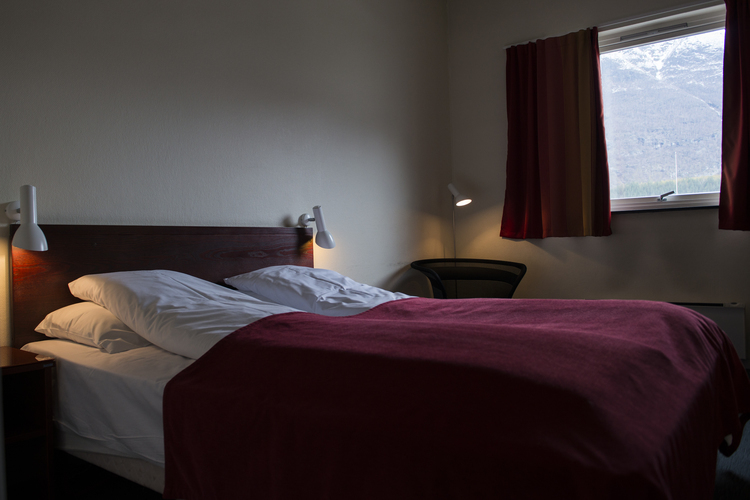 The hotel is a great base for trips in Jotunheimen or in the area around the Sognefjord. There are also a wide variety of hiking paths and experiences in the immediate area, amongst others the Vettisfossen waterfall and the mountain road Tindevegen. Sitla Hotel is a great alternative for anyone with an interest in country road biking due to its location right between Tindevegen on one side and the road over Tyin on the other side. Årdal is also a great place for fishing. We also offer long term stays for business travellers and other people who are staying in Årdal for varying periods of time. welcome to ØVRE ÅRDAL and SITLA HOTEl & APARTMENT.